How do retinoids compare to other stretch mark treatments? What the research says: does Retin-A work? Is Retin-A safe during and after pregnancy? Stretch mark scars are the result of a loss of collagen. Pregnancy, rapid weight gain or loss can cause these lesions. Tretinoin (Retin-A) can help minimize their appearance. Tretinoin products should not be used while pregnant. Stretch marks — which generally appear on the abdomen, thighs, breasts, hips or buttocks — can be distressing, sometimes unsightly, and often impossible to completely eradicate. However, with time and patience, their visibility can be minimized. Several treatments are available to help improve the appearance of stretch marks, including products like Retin-A — the brand name for a tretinoin cream. Many people associate stretch marks with pregnancy or rapid weight gain. They are particularly common in the last trimester of a pregnancy — and more often in younger women — as the skin stretches to make adequate room for a growing baby. Overproducing the hormone cortisol in the adrenal gland. Whatever the reason, all stretch marks are a sign that the underlying layers of the skin have been torn. When our middle layer of skin (dermis) weakens due to stretching and loses its natural elasticity (collagen), stretch marks are often the result. Our body tries to repair these tears by producing new collagen and creating new tissue. However, this tissue will never look precisely the same as undamaged tissue. Not all stretch marks are created equal. Their look and feel depends on their root cause, what part of your body is affected, your skin type and the length of time you’ve had them. At the outset, they often appear red but over time, they may fade to white or silver. Not entirely, but minimizing them while improving the overall look of your skin can be achieved with a few easy techniques. First, hydrate your skin by drinking plenty of water and use moisturizing products daily. Natural products like coconut oil, shea butter and vitamin E oil or cream can help strengthen collagen and nourish the skin. However, don’t be misled by any claims that these products can make existing stretch marks disappear. The scars occur deep in the dermal layer and can’t be reached by moisturizers. Aside from moisturizing, use a gentle exfoliating product regularly. Nutrition is also an important factor. Opt for foods that are rich in zinc, vitamin E and vitamin C, which help maintain the elasticity of your skin. Antioxidant-rich foods like avocados and almonds are also great for your skin. Protecting your skin from the sun is of equal importance. Sunscreen won’t prevent stretch marks either, but it will help your skin avoid losing precious moisture. Finally, maintaining a steady weight is important for your overall health and can help lessen the likelihood of stretch marks developing — or if they do, this will make them less pronounced. Tretinoin, a derivative of vitamin A, acts as an exfoliant on our skin’s outer layer (the epidermis) and encourages the dermis below to produce collagen, thus improving scarred skin’s appearance. Unlike over-the-counter creams and oils, tretinoin can penetrate into the deeper layers of skin where stretch marks occur. Tretinoin is available in several strengths – 0.025%, 0.05% and 0.1%. You may want to begin with the lowest concentration while you build tolerance. Our skin’s enzymes can convert vitamin A to retinoic acid. In turn, this acid allows cells to ‘talk’ to each other, helping them to continue renewing themselves. As new cells are produced, the appearance of stretch marks can be diminished. 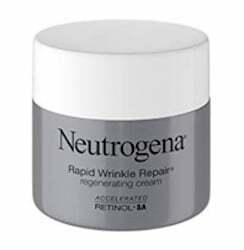 Retinoid products like Retin-A are most effective when these scars are relatively new. Some people turn to surgical interventions like laser therapy (a relatively new treatment), microdermabrasion, and platelet rich plasma (PRP) therapy to deal with stretch marks. These interventions can be costly, and may require multiple sessions before you see a noticeable difference. Plastic surgery that addresses another cosmetic issue, such as a tummy tuck for instance, may also remove stretch marks. No one treatment for stretch marks, surgical or medical, has been proven more effective than another, according to a 2009 analysis. This prescription-only product has clinical studies to back its effectiveness in reducing the width and length of stretch marks as well as diminishing their color, especially if used on scars less than 6 months old. One small dated study showed remarkably rapid effectiveness in the treatment of newer scars. More recently, a retrospective analysis of tretinoin’s use for dermatological issues like acne scars and photo-damaged skin indicates that it may be effective in treating other skin conditions, alone or in combination with other products. Another study, looking specifically at tretinoin for treating acne, highlights that newer delivery systems as well as new tretinoin formulations that cause less irritation are in development and may provide better results down the line. If you would like to try tretinoin to diminish stretch marks, several products are available. Each formulation is different so read the labels carefully for more information before use. These products are indicated and work well for a variety of skin conditions like fine wrinkles, and would likely prove effective in helping to diminish the look of stretch marks. Retin-A doesn’t work immediately, so don’t give up if you don’t see quick results. In some cases, it can take as long as six months before there’s a noticeable difference. As mentioned, it doesn’t work as well for older scars. Common side effects include redness, irritation, dry skin and skin peeling. These are usually temporary. Follow its application with a generous amount of moisturizing cream to diminish these effects. Refrain from slathering any tretinoin-containing product on too liberally and don’t use it every day as both actions can irritate your skin. If you’re experiencing some soreness or tenderness, stop for a few days or use less. As with all medicinal products, there are some things to consider before deciding on its use. Most importantly, despite pregnancy being one of the major causes of stretch marks, Retin-A or any other tretinoin-containing product should not be used while pregnant. There is a potential for harm to the developing fetus. Likewise, these products should not be used while breastfeeding. Moisturizers will help to keep the skin supple until your baby has been weaned, at which point you may use Retin-A. It’s often a good idea to check with a pharmacist first to be sure that the tretinoin will not adversely interact with any other skin ointments you may be using. You should also stay out of the sun or use a strong protective sunblock. Tretinoin works in part by exfoliating the skin, which exposes it to possible sun damage. If stretch marks (particularly recent ones) are bothering you and you want to give your skin a bit of a helping hand, tretinoin has a long history of safety and efficacy. Used properly and carefully, it can help improve the look of stretch marks. » If you are unsure at what strength or for how long you should use tretinoin, ask a cosmetic doctor for advice and schedule an appointment using Zwivel’s free online consultation tool.